The fusion of styles is the hallmark of the Baobab orchestra, even when its roots -of Senegalese origins – clearly show through from the first time you listen to it. African rhythms meet Latin American modulations, that trigger danceable tunes, full of vitality and optimism. This ensemble, popular in the 1970s and 1980s, reappeared in 2002 with a disk in which it defined itself -boldly and bubbly - Specialist in all styles. Indeed, the Baobab orchestra is a mixture of a variety of styles, coming from traditional dances, which they perform leisurely, thus guaranteeing entertainment to all audiences (many of which could feel uncomfortable in their seat, as they are vividly invited to participate in this musical phenomenon). 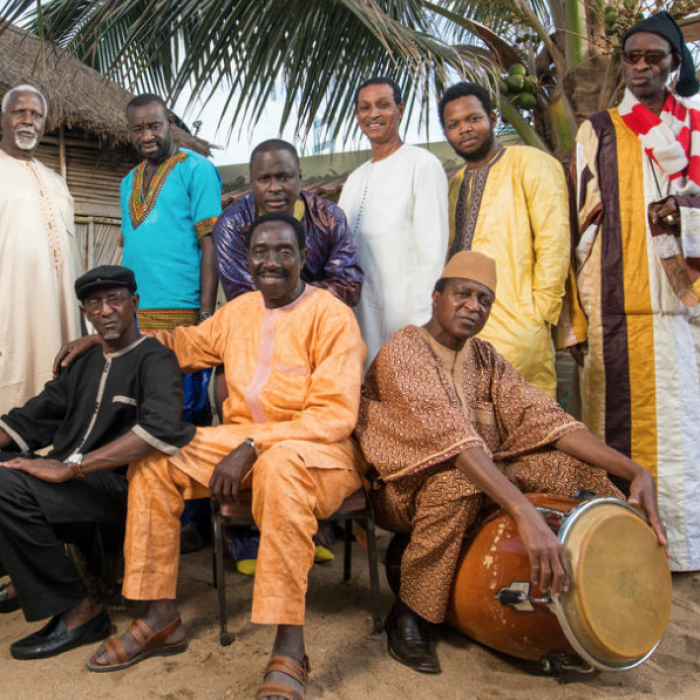 The open-minded attitude of those responsible for the Barbican line-up makes it possible to host diverse ensembles in one stage; classic performers of the so-called “serious music ” -a more than questionable description – and others, like the Baobab orchestra itself, whose music can be qualified as “festive”. Both of them manage to exchange features and this causes -seriously- delight on the audience. one of the techno legends -youthful-looking 48-year-old Carl Craig. The Detroid-born DJ started bringing creativity to electronic music two decades ago and has collaborated with many artists and recorded music for such classic seals as Deutsche Grammophon (in tandem with Max von Oswald, revisiting and revisioning Ravel and Mussorgsky, and, in turn, triggering interest from piano player Francesco Tristano. This young artist has proved deep knowledge of the classical repertoire (from Buxtehude to Ravel himself) and shared his music spinning with him. From the Idiosyncratic language of electronic music, the gigs scheduled with Carl Craig in some of the most iconic dance floors in Europe will constitute an excellent opportunity to see first-hand the possibilities of electronic music, not exclusively considered as dance music per se. We rarely have the opportunity to listen to a foreign orchestra in the iconic concert hall that plays host to Berlin’s Philharmonic Orchestra. But apart from this infrequent circumstance, the arrival of the London-based Philharmonic Orchestra, directed by Esa-Pekka Salonen, is complemented by the presence of a soloist who will present a peculiar and unprecedented masterpiece: Julia Fischer will play the beautiful and intricate Jean Sibelius’ Violin Concerto. Anybody interested in the virtues of the soloist can consult the web and will be amazed to come across a piano player with the same name. The surprise will be doubled on discovering that both, violin and piano player, refer the same person. Fischer, started his formation as a violin player, at a very young age, and tends to be presented in the programme as a violin player, but she also plays the keyboard, an instrument that -in her opinion- requires many study hours. Sibelius’ Violin Concerto, a composer of the same nationality as Esa-Pekka Salonen, is completed with Mahler’s Symphony number 1, an early work (not only because of its number), which evokes musically the vital cycle of a person. And his is not a misnomer, “Titan”, based on the homonymous work, written by German writer Jean Paul. 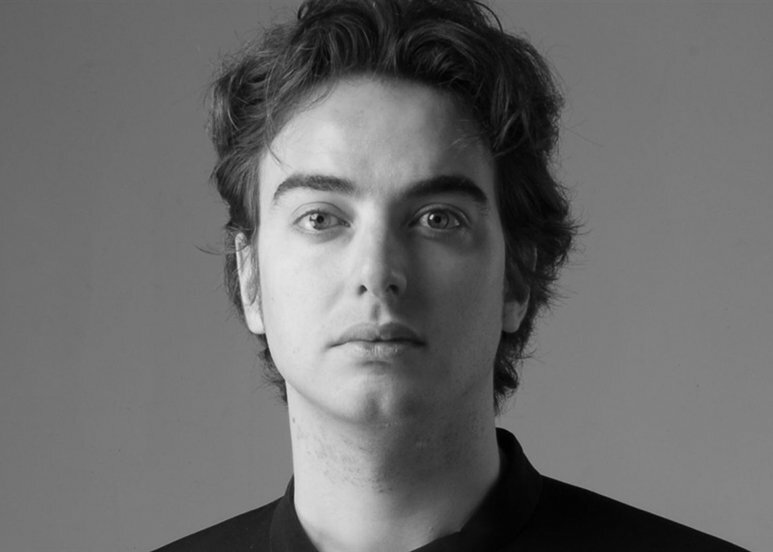 A memorable name worth remembering -as it probably will make it to the main European and world stages – is young conductor Jérémie Rhorer. This artist has already been at the forefront of top notch orchestras, like the hr-Sinfonieorchester, and is scheduled for relevant performances like the one where he will direct the well-known Leipzig’s Gewandhaus Orchester, this coming June. For the time being, we recommend a previous concert, conducting the first symphonic orchestra of the Czech Republic, an ensemble with a tradition and recordings up to the greatest from the continent (with a history of direction from some of most reputed mythical conductors, including obviously the local director Karel Ančerl). The concert’s schedule directed by Rhorer in the beautiful main room of the Prague-based Rudolfinum includes a good number of incentives. The participation of piano player Alexander Gavrylyuk, undeniable protagonist of the second Chopin concerto, or two lively symphonies, both in A major: one, a work by young Mozart, specifically the Symphony n. 29 and, the other, the so-called “Italian Symphony”, a creation of the most Mozartian 19th century composer, Félix Mendelssohn. present month of April: in his first performance, directing the Freiburger Barockorchester and the Rias Kammerchor -highly-reputed world famous ensembles, both with numerous recordings and awards -, performs a huge masterpiece, with orchestra, choir and solo, specifically Félix Mendelssohn’s Elijah. This is his second oratory, composed years after the magnificent work Paulus. Both reveal his preference for Baroque music and respect for Lutheran spirituality, which drove him to perform a revival of Bach’s 1829 Saint Matthew’s Passion, thus releasing it from oblivion. Madrid’s Teatro Real will bear witness to Mendelssohn’s maturity work in his German version, dating back to 1848 and that, due to his early death, failed to direct it. The role of the firm prophet, Elijah, will be assumed by one of the most widely acclaimed voices of recent times, Matthias Goerne. So far all the information of the first performance directed by Heras-Casado. Regarding the second event, due to take place in the Madrid stage, on this occasion directing the Madrid’s Symphonic Orchestra, we can say that this is one very special occasion: a concert framed within the programme “Acordes con solidaridad”, fourth edition. The symphony chosen is the imposing Ludwig van Beethoven’s Third, also known as “Heroic”. For a very reasonable price, you can enjoy the interpretative vision of Pablo Heras-Casado -a master, let’s know forget, which the main concert halls in the world are competing for – while collaborating with the fight to put an end to children’s poverty. An essential occasion of compulsory attendance. Row 0 will be available for those who could not attend the concert but still want to support the cause. 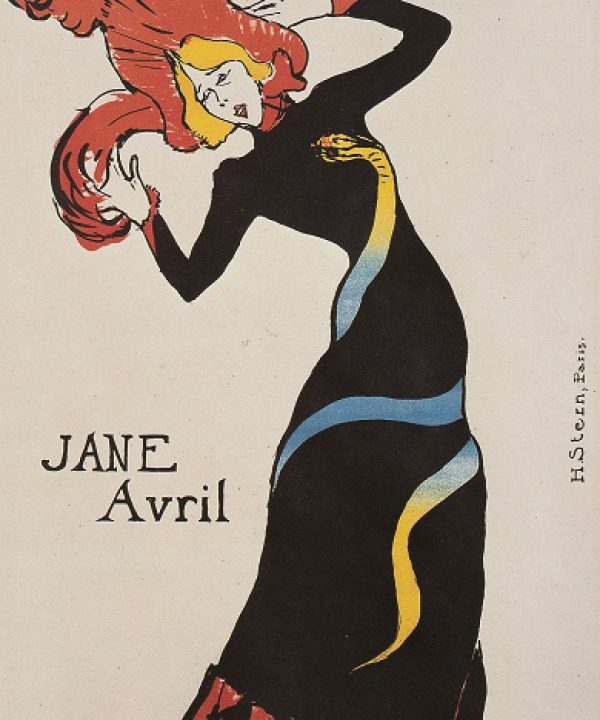 The exposition exhibits two complete series of original posters that Toulouse-Lautrec, artist of the Parisian underworld, made to promote some of the most outrageous nightlife activities. Fundación Canal exhibits one of them, while recreating the world of cabaret, a meeting place of many intellectuals of the time, while projecting audiovisual works. A wide array of materials, including the presentation of the room itself -in the 19th-century theatre style– enable the contextualization the artistic contribution of this Belle Epoque artist. Creators of following generations -Picasso, among them- appreciated Toulouse-Lautrec’s capacity for synthetic and powerful communication through figures that remain firmly on the spectator’s retina. 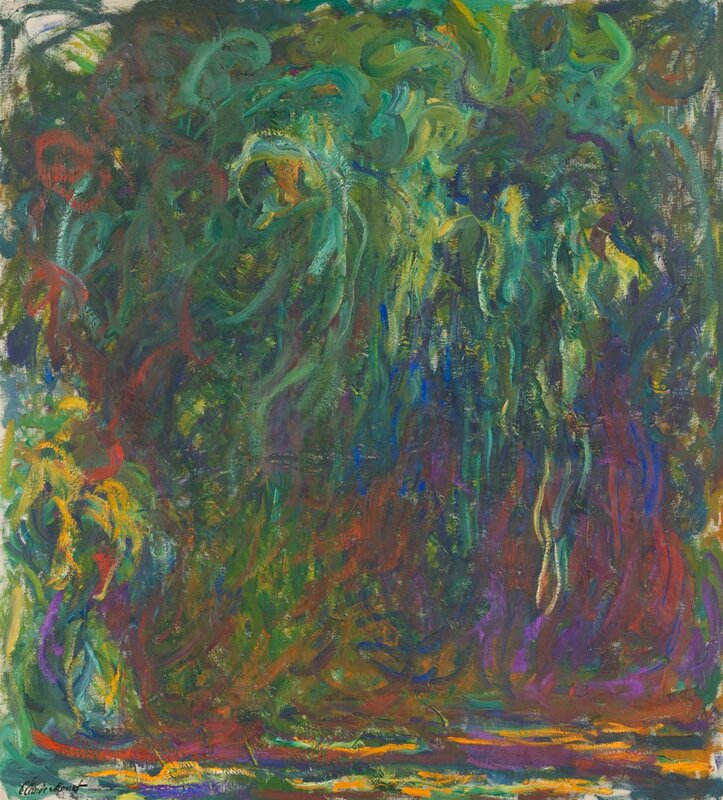 between Claude Monet’s latest works and abstract expressionism. This movement gathers American creators like Mark Rothko or Jackson Pollock to its fold, and the inspiration deriving from these huge hardly figurative canvases, with floral motives of free brushstrokes, that only suggest a shape through a wild confluence of hues, more or less chromatically connected. Back in the 1950’s, Pollock apparently came in contact with the work of the French artist. It was a time when artists pursued the capture of the moment and the full intensity of the subjective experience. The relationship between impressionism and abstraction had been remarked by Robert Rosenblum in the conference proceedings entitled Modern Painting And The Northern Romantic Tradition: Friedrich to Rothko. Apart from Rothko’s and Pollock’s canvases, the exposition shows that relationship through the presentation of works by Barnett Newman, Clyfford Still, Helen Frankenthaler, Morris Louis, Philip Guston, Joan Mitchell, Mark Tobey, Sam Francis, Jean-Paul Riopelle and Ellsworth Kelly. Precisely, Kelly is a radically contemporary artist (died in 2015) whose work approaches explicitly Claude Monet’s work. it is especially interesting to behold the western conception of the naked body through an approach of an eastern perspective, and understand this opening road (from the celebration of neoclassical shapes to explicit transgression of recent times) in a different context, like Japan, whose thousand-year-old tradition co-habits with top notch technological development. The exposition is held in the city of Yokohama, the second most populated city in the country after Tokyo, with a population of over 3.7 million people. Coming from the Tate Collection, the 130 art pieces -paintings, sculptures, paper drawings and photographs – also highlight the evolution of the representation of the naked body, from a purely artistic viewpoint but also through its relationship with social and political changes. hosts impressive treasures of ancient civilizations, matching up to the highly-visited and reputed like the British Museum or the Louvre. 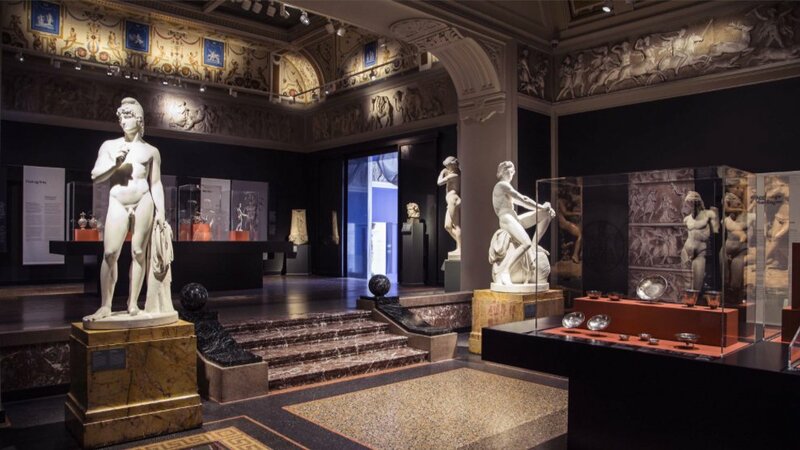 This museum is Ny Carlsberg Glyptotek, which from 14th March to early September hosts High on Luxury. Lost Treasures from the Roman Empire, a reasoned exposition of luxury items used in lavish celebrations dating back to the Roman Empire, which the cinema industry has accustomed us with partial snapshots of these events. These visions and imagery, despite their apparent exaggeration, could fall short, especially after reading the historical reality narrated by chroniclers reinforced by the objects seen in this exhibition. The representation of volumes in sculpture has gone through an endless succession of variations, revealing symptomatically the relationship between men and their body. The transition from the Middle Ages to the period known as Renaissance evidences this new celebration of material support, that guarantees not only life but also the possibility of experimenting with a wealth of sensations and affections. It is not by chance that there are so many texts taking the form of a manifesto (by Gianozzo Manetti, Lorenzo Valla and, mainly and the most popular of them all, that of Pico della Mirandola) which, without turning their backs to the spiritual reality, welcomes the hybrid reality of the new creature, as well as its capacity of choice; this new outlook defied any stigmatization of the body, which was conceived as corruptible at the time. The Metropolitan exposition (Like Life: Sculpture, Color, and the Body) highlights the recognition of man itself through the creation of itself, the artistic division that triggers the figures representing it, with which it establishes a dialogue of sorts. About 120 works, from the 14th century to the present, illustrate this new eminently subjective relationship that puts at stake the capacity of reproducing (the appearance of) life. 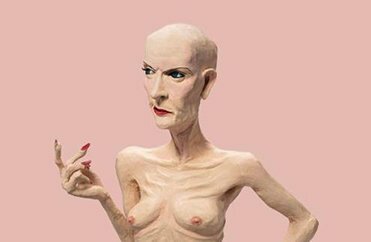 The exhibition gathers sculptures by Donatello, El Greco, Jean-Léon Gérôme, Antonio Canova, Auguste Rodin, and Edgar Degas, but also transgressive artists, like Louise Bourgeois, Meret Oppenheim, Isa Genzken, Charles Ray or Jeff Koons. There are also wax effigies, reliquaries, mannequins and anatomic models, “three-dimensional simulations of the human body” which -reportedly- “illustrate anxieties and pleasures of their concern”.